The University of Southampton has awarded eminent geochemist Dr Benjamin Van Mooy one of two prestigious Diamond Jubilee International Visiting Fellowships. The Diamond Jubilee International Visiting Fellowship scheme was established at Southampton to mark the University’s 60th anniversary in 2012. It seeks to further internationalise the University and raise its profile globally by initiating and consolidating links with international partners. Dr Van Mooy, an established leader in his field, is an Associate Scientist at the world-renowned Woods Hole Oceanographic Institution in Massachusetts, USA. 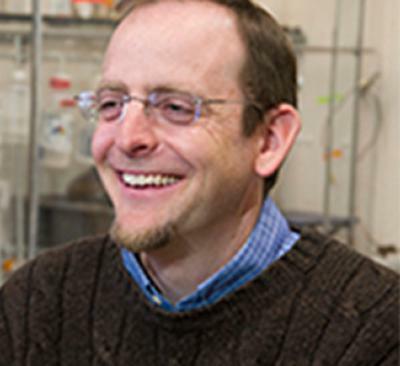 His research interests focus on understanding the chemical communication between microbes in marine biofilms, the molecules that make up the cell membranes of plankton, and the biogeochemical cycling of carbon, nitrogen, and phosphorus in the upper ocean. Professor Rachel Mills, Associate Dean of Natural and Environmental Sciences at the University of Southampton nominated Dr Van Mooy for the honour. She believes that he “elegantly combines field-based observations with laboratory experiments, bringing new insights to the field of ocean biogeochemistry” which will certainly enhance the research reputation and outcomes of the University on the global stage. “The University of Southampton has such unique research strengths, and I'm eager to forge new collaborations with my colleagues involved in the Institute for Life Sciences,” said Dr Van Mooy who currently holds ‘Visitor’ status within the University’s Faculty of Natural and Environmental Sciences. During his three-year Fellowship, Dr Van Mooy will use his research experience at Southampton as a platform to cover emerging oceanographic concepts whilst informing students on the scientific process. In consultation with his Southampton colleagues, he will design and conduct experiments at sea bringing samples back to the University for analysis. In addition to guest lecturing and engaging in scientific papers, Dr Van Mooy will also be involved with new grant and funding opportunities, student exchanges and joint teaching initiatives to build a more solid and long-term relationship between Southampton and Woods Hole. The second Diamond Jubilee International Visiting Fellowship has been awarded to Dr Ida Mok from the University of Hong Kong, who is a leading scholar in Mathematics Education.